CNICK is designed with comfort, elegance and simplicity in mind. Made of exotic wooden materials and meticulous shapes of edges, CNICK fits a finger perfectly and ensures users comfort throughout the day. 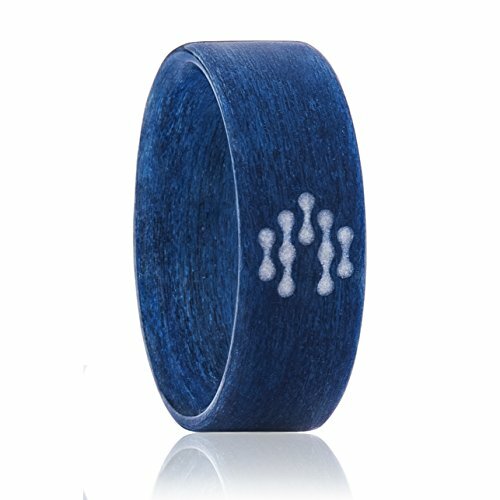 We make the technology disappear in the most organic and Eco-friendly materials - Exotic woods, that could ever be used in a smart wearable. You can replace access cards and enter locked places with a simple gesture, even with your hands full; Write contact information, links and small (up to 8KB) text samples in the ring and share them with a touch of your finger on an android smartphone; Using NFC applications, you can unlock your smartphone or manage apps. 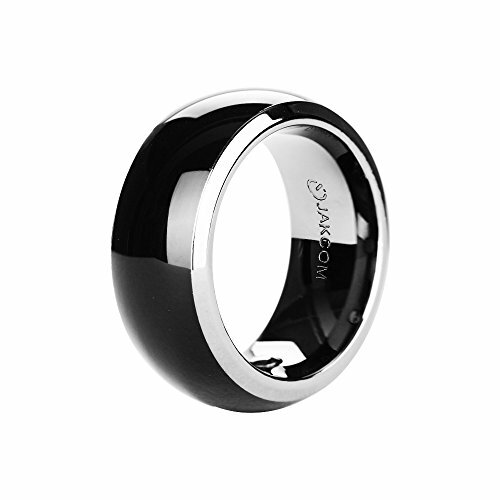 The ring is compatible with Samsung, LG, Google and other NFC enabled Mobile Devices. CNICK is also compatible with iPhone 7 and later models, however, they can only be used to read information from the CNICK ring while NFC application is opened, writing function isn't currently available for iOS devices. To save owner's information, CNICK Ring has the most up to date security controller - Desfire EV2 8K. CNICK is compatible with HID readers and SIO can be successfully loaded on the ring. Fist mode technology ensures highest level of security and comfort, while enabling you to have access and share information with a single gesture. Reading Distance: 3-5 CM (Dependent upon reader, environment and application). Manufacturing technique: Bentwood method guarantees the highest quality and durability, it's almost impossible to break CNICK rings by dropping or gripping. STORE&SHARE INFORMATION: Compatible with Android (read and write information through CNICK APP) and iOS (only reading information through third party APP). Add URL record, contact information or any small text by touching a finger on the smartphone. CNICK ring has the highest memory size up to 8KB (8000 Byte). 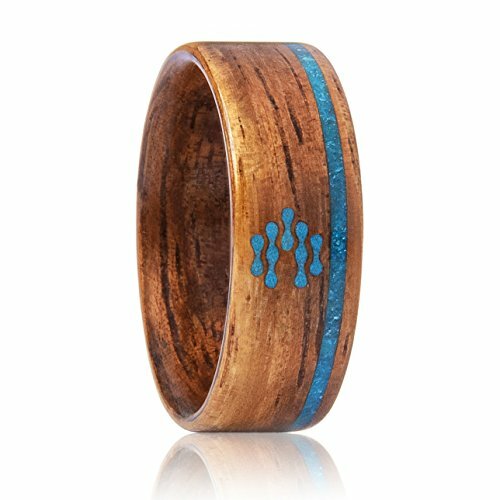 HANDMADE&ECO-FRIENDLY: The first eco-friendly wooden smart wearable ring. Manufactured from the highest quality exotic wooden materials. CNICK is fully handcrafted. When your rings are enchanted by you with NFC software. 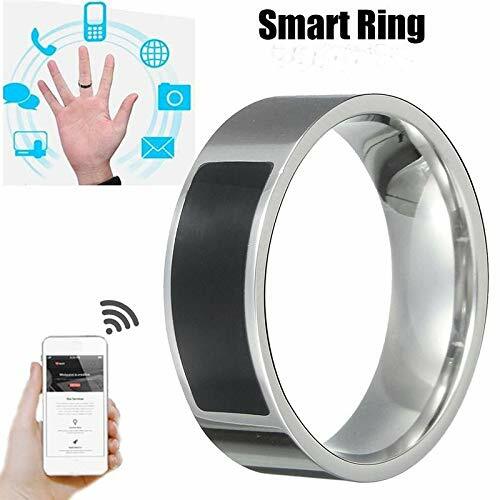 by touching the phone NFC signal area with the enchanted ring , to achieve the screen to unlock; application lock; quick start application; URL information and other functions, how powerful the software is how intelligent your rings will be. 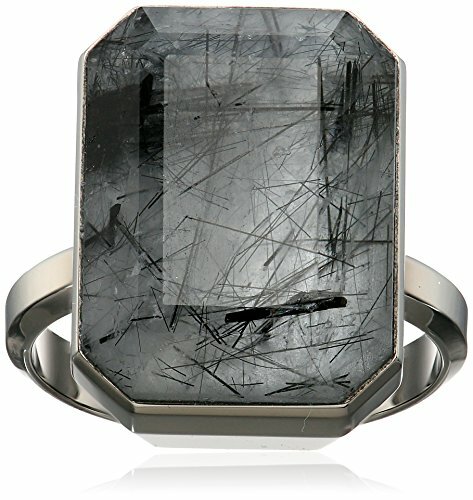 Ring with high sesitivity and beautiful look and mysterious appearance. NOW Place orders to be the Lord of your own rings and have your magic show on ! Various colors for your choice, feel free to choose all the colors you like to dress up your watch. Just like a fashion show. Really great quality and you cannot believe how easy it is to take on and off. Durable enough to avoid the slipping-off problem, good for exercise or daily movement, super easy to switch bands. Fit wrist 5.5inches-8.7inches (140mm-220mm), please kindly measure your wrist before purchase. Band secures great with the double strap holders, secure and comfortable to wear all day. 22mm Silicone band for Garmin Fenix 5/Fenix 5 Plus/Forerunner 935/Approach S60/Quatix 5. 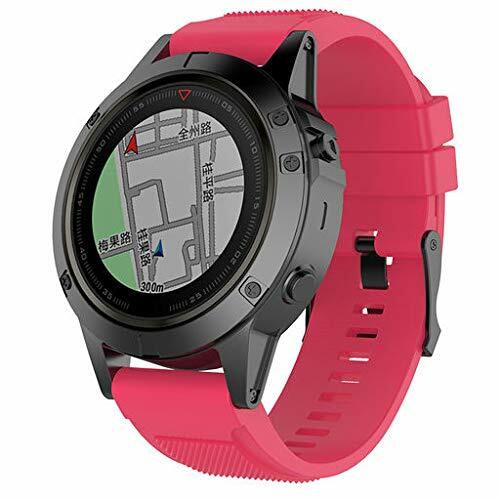 NOT FIT for Garmin Fenix 5x or 5S. The silicone band fits well and is solidly mounted to the watch. BODY-SAFE AND SUPER SOFT -- Made of medical grade silicone + ABS,silky smooth touching feeling more close to human skin. MULTI FUNCTIONAL CORDLESS WAND -- Remote can use as an individually 12 frequency massager. relieves muscle tension, knots, spasms, aches, and pains. Great for use on areas such as neck, back, legs and feet. SAFE AND 100% WATERPROOF -- Safe and waterproof design,easy to clean. Can use it when bath time,outdoor like cinema,concert,beach,travel,brings you amazing feeling. Note: This privacy full-screen protector anti-looking tempered glass Samsung Galaxy S10 only supports facial recognition and password input, does not support fingerprint recognition. Please confirm and purchase again. 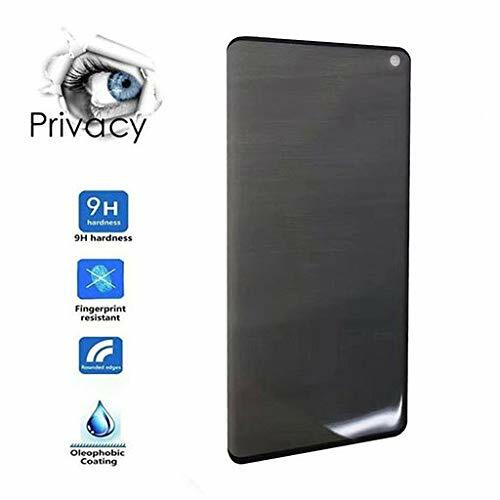 This privacy full-screen protector anti-looking tempered glass Samsung Galaxy S10 only supports facial recognition and password input, does not support fingerprint recognition. Please confirm and purchase again. Privacy Protector: Prevent your screen content and any confidential information from any unwanted onlookers. Highly Durable: 9H hardness rated tempered glass increases shock absorbency, protecting screen from scratches and drops. Oleophobic Coating: Smudge-proof and fingerprint resistant to keep your screen crystal clear and enjoyability at a maximum. Complete Coverage: Designed specifically for For Samsung Galaxy S10 an edge to edge fit and protection. Simple Installation: Simple quick and bubble-free application with no glue residue when removed. Sensitive Touch: It has a strong adhesive that attaches the film firmly to not affect touch the screen's sensitivity. 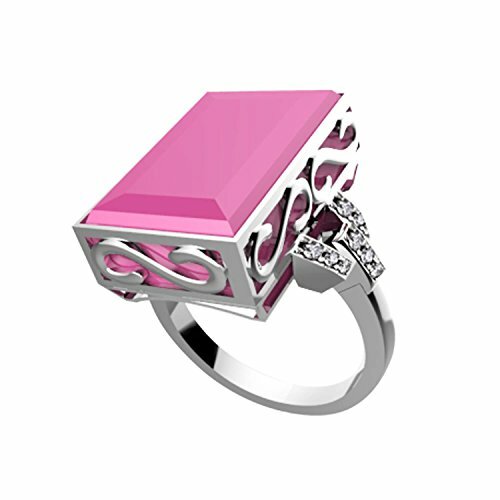 The Ares range of Smart Rings are beautifully crafted jewelry rings made from 925 sterling silver which also act as a notification hub for your finger, delivering updates when you have new text messages, email, calendar events and incomming calls. The ring also alerts you everytime you leave your smart phone behind, keeping you from loosing it. The Ares also comes with the revolutionary Simple-Tap SOS feature which lets you reach out to your loved ones with just a few simple taps on the Ring. Features like water/dust resistance, dedicated smartphone app and wireless charging make the Ares the best culmination of technology and fashion to this day. Please scan the QR Code to get the instruction, please trust the app, it is safe. Anything please feel free to contact us. Share & Transfer information (send the private message/Picture/business card/ website link to the person you want to share by a simple touch) NOT support iPhone and Blackberry phone. 30 DAY MONEY BACK - If for any reason you are not fully satisfied with your purchase experience within 30 days, we are happy to help with a replacement or refund. Comfortable and high quality Magic gloves material with excellent elasticity, Stretches to fit most hands, You can easily get a custom fit according to your hands. Pair off with your favorite Outfit. WARM LINING AND COMFORTABLE - Made of soft napping wool the inner lining, the gloves are extremely comfortable and warm but not bulky! With the stretchy snug fit, you can type a text just as fast as you would without gloves. EXQUISITE SEAMING AND INSULATED WARM - Smooth and sturdy stitching seams, no loose threads. 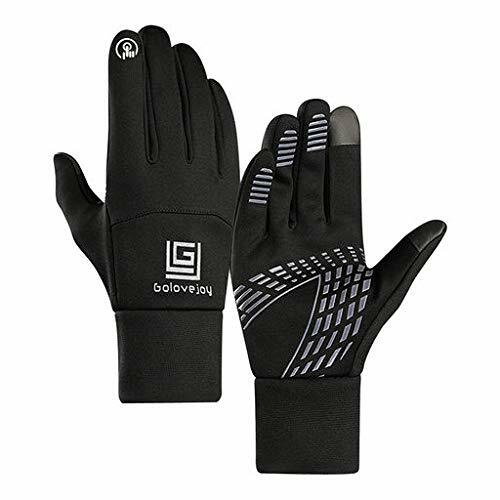 High elasticity for better fit your hands, warm and comfortable. Also, ANTI-SLIP SILICONE design on the palm ensures you a secure holding. Extending wrist cuffs protect you from any gaps between the gloves and jacket for cold air to get into! GOOD GIFT FOR YOUR FAMILY AND FRIENDS - These gloves are unisex and stretchy and have two sizes to choose, you can send one as a sweet gift to your family or friends without worrying about the problem of size. They will be happy so much for receiving a pair of well-fitting gloves in cold winter. Made of quality TPE material, environmental and healthy. 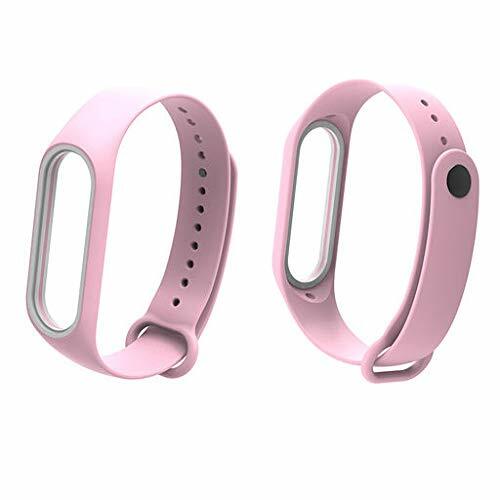 Fashion, stylish and durable, this wristband is ideal replacement for Xiaomi Mi Band 3. The Strap is made of high quality Silicone material. All the Silicone are doing a strict quality testing, ensure that no harm and provide soft cushioning on the skin. Our Straps Compitable with Xiaomi mi Bands 3 of all editions, fits 155-220mm/6.2-8.8inch wrist. Suitable for both men/women, fashion and elegant. Simple and smooth curve makes your Xiaomi Smart Watch look more fashionable and decent, multi beautiful colors available, available for women,men and youth! Comfortable touch feeling on your wrist, simple but attractive, look fantastic and giving a nice professional look on any occasion. If you have any problem with our product, just contact us. Our support team is ready to assist you to solve the problem you met. We always here! The Ringly Luxe smart ring connects to your phone and helps you stay on top of your daily activity through customized alerts. This smart accessory also acts as a fitness tracker, enabling you to effortlessly track steps traveled and monitor calories burned. In addition to setting and tracking physical activity goals, Ringly users can set daily reminders to achieve mindfulness and balance with guided audio meditation and breathing exercises. 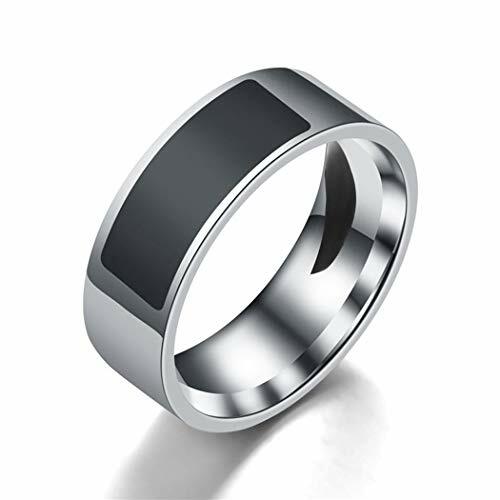 Intrudution: The Jakcom smart ring is a wearable electronic components. It can connect IC/ID/NFC Card Reader like doorlock or cellphone to unlock, pay, share information or operate some mobile function. The original health module can improve human performance effectively. Features Made of Germanium. It is a kind of rare metal and its content is only about 0.0007% in the earth's crust. It has superbly high health care efficacy, can improve the modern people comprehensive symptoms caused by the lack of exercise, working pressure and air pollution. Cotopaxi volcanic magmatic. Thousands years of geological movement gives it striking ability, and enable it to have greater functions of relieving convulsion, soothing the nerves, calming the liver, improving ears and eyes, and relieving asthma than ordinary magnets. FIR Energy Stone. All materials extract from natural mineral ,so that can release more pure Far infrared ray , Scarlar Energy and negative ions . Effectively improves the Krebs Cycle, Thus improves Energy , Endurance and Strength .It also can help peploe effectively resist the electromagnetic wave from computer ,phone or electrical appliance. ID Module/M1 Module/NFC Module for you to choose from. Made of Germanium : It is a kind of rare metal and its content is only about 0.0007% in the earth's crust. It has superbly high health care efficacy, can improve the modern people comprehensive symptoms caused by the lack of exercise, working pressure and air pollution. Cotopaxi volcanic magmatic : Thousands years of geological movement gives it striking ability, and enable it to have greater functions of relieving convulsion, soothing the nerves, calming the liver, improving ears and eyes, and relieving asthma than ordinary magnets. 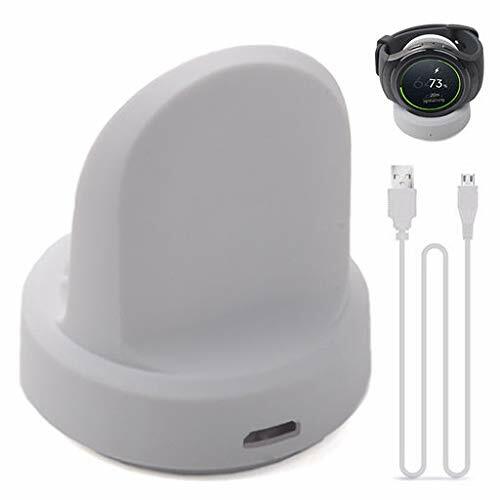 Best Choice :It also can help peploe effectively resist the electromagnetic wave from computer ,phone or electrical appliance, ID Module/M1 Module/NFC Module for you to choose from. New Designed :The product shape is designed according to the international popular elements, and created by the pure medical titanium, no need to charge, high waterproof, and suitable for any people at any time. 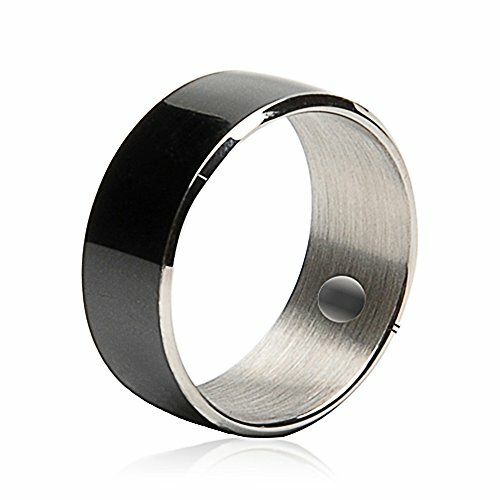 The original NFC Ring, as featured on The Guardian, Gizmodo, Techcrunch, BBC, The Washington Post and many more. 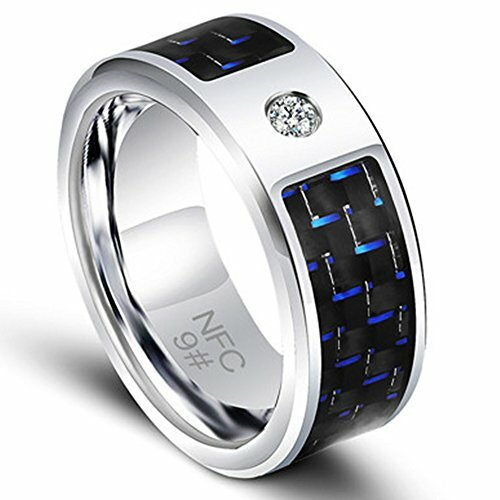 The NFC Ring can be used to unlock doors, mobile phones, transfer information and link people. It comes with two special NFC tag inlays sealed inside the ring, allowing you to program each side to do different things - such as unlocking your phone, your door (with an NFC enabled door lock) or store custom settings for your device, for example. One smart ring, unlimited possibilities. This model is part of our 2016 range which provides a much greater operating range. Premium Plating Zinc alloy,corrosion-resisting. With quick release pins, you can install and remove the strap easily. 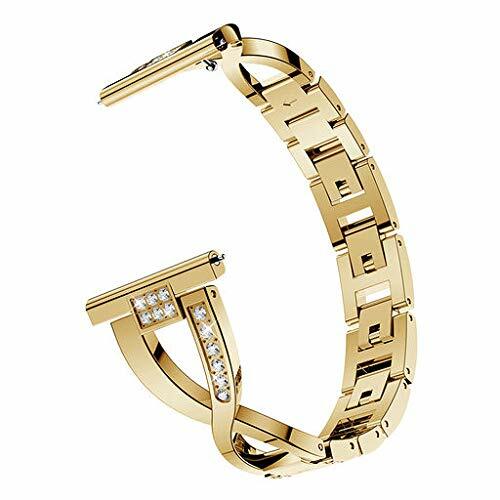 Fit Size: Fits 4.92"-7.48" (125mm-190mm) wrist, comfortable touch feeling on your wrist, simple but attractive, look fantastic and giving a nice professional look on any occasion. The Band compatible with Samsung Gear S2 Classic of all editions, suitable for both men/women, fashion and elegant.Applicable Wrist: About 4.92-7.48inch (125mm-190mm). Made of high quality Stainless Steel material. You cannot believe how easy it is to take on and off. All the material are doing a strict quality testing, ensure that no harm and provide soft cushioning on the skin. Simple and smooth curve makes your Watch look more fashionable and decent, multi beautiful colors available, you like to dress up your watch. Just like a fashion show. Suit for women,men and youth. Comfortable touch feeling on your wrist, simple but attractive, look fantastic and giving a nice professional look on any occasion. Good for exercise or daily movement, super easy to switch bands. If you have any problem with our product, just contact us. Our support team is ready to assist you to solve the problem you met. We're always here for you. 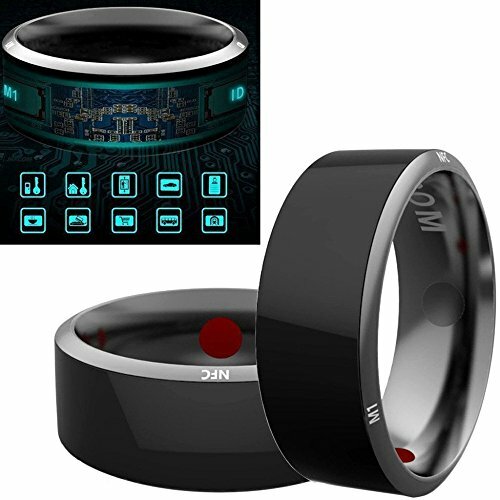 Multi-functional NFC smart ring, the main function is to store and exchange personal information, as well as mobile content and personal privacy encryption unlock, support for Samsung, Huawei, millet and other DNF-enabled mobile phone. Built-in chip design, convenience to use. HD LCD display with white backlight, ensure clearly measurement. Scale for weighing small pet such as cat, dog, parrots, hamster and other small animals. Accuracy: 11g, with capacity to 10Kg. High Accuracy for Small Pet and Home Use. Easy and effective weight monitoring system - Unit of measure in g/ml/oz/oz. High-tech surface finish and fine woven Nylon watch strap for woman man fits your device and feels comfortable on your wrist. Fits 4.92"-7.48" (125mm-190mm) wrist. 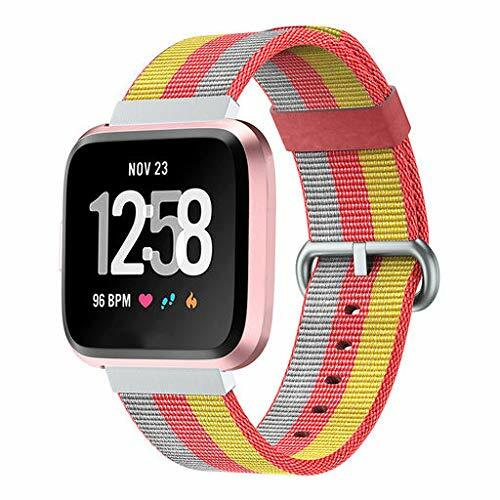 Made of high quality Nylon material, this replaceable for Fitbit Smart Watch band with connector is durable and long lasting. Use Premium nylon material that features water resistant, durability and energetic, you can wear your watch out no matter in any weather condition. Precise cuts on tiny components locks itself onto Fitbit Watch and Band conveniently and securely. Easy and direct installation and removal. 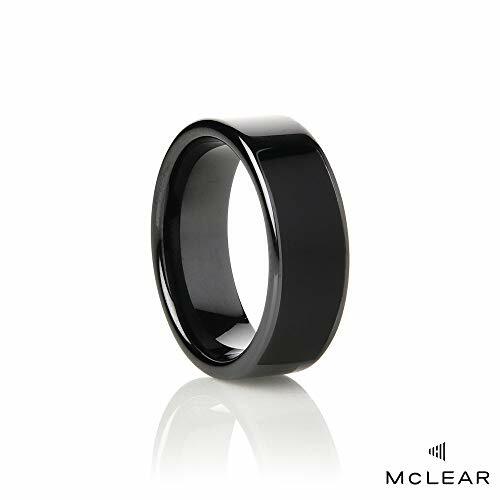 Male -P - s ring to delay j -c l tion, good for men's health and couple's love life . Material: Medical grade silicone , no smell, not easy to deform and crack. No harm to the human body, and you will love its elasticity and softness. SELLER GUARANTEE: We will offer you a one-year warranty and no reason to return or refund within 15 days. If you have any questions, please don't hesitate to contact us for help directly.